So I am putting quite bit of effort in understanding what is available out there. Through my customer I came across Hobonichi (a Japanese translation of the word "hobonichi" is "almost everday"). It's a Japanese planner system that has quite bit of cult followers and creative community. 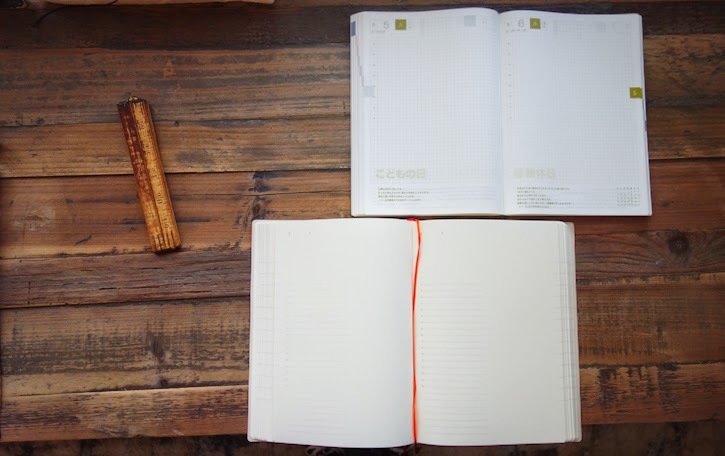 I loved the idea of dated daily journal (after trying non-dated bullet journal and carrying a monthly dated calendar to organize scheduling). 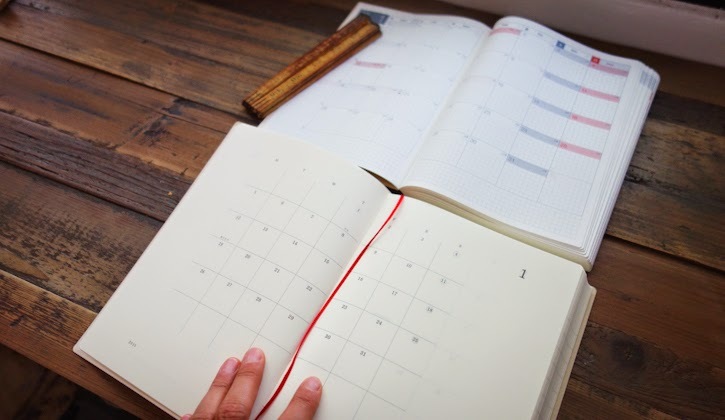 The idea of "documenting a day" instead of simply using a planner to arrange schedule really fascinates me. So I asked Frido to pick up a few Hobonichi samples from the store when he was in Japan few weeks ago. At Baum-kuchen, we have been carrying MIDORI MD daily diary as well as monthly calendar. One of our customers asked me to do a side-by-side comparison of Hobonichi Cousin and MIDORI MD Daily Diary so here they are! They are both A5 size and have monthly calendar as well as daily page. They are both stitch bound so they open flat. Here is how I would summarize pros and cons of both notebooks. I LOVE their minimalistic layout design. It's something I can totally see myself using everyday without being distracted by visual noise. It comes with a very durable white cover so you can carry them throughout the year in the bag, on your table... It will look nice on your nightstand but can withstand the frequent travels in your bag. Monthly calendar is dated but daily page is not. 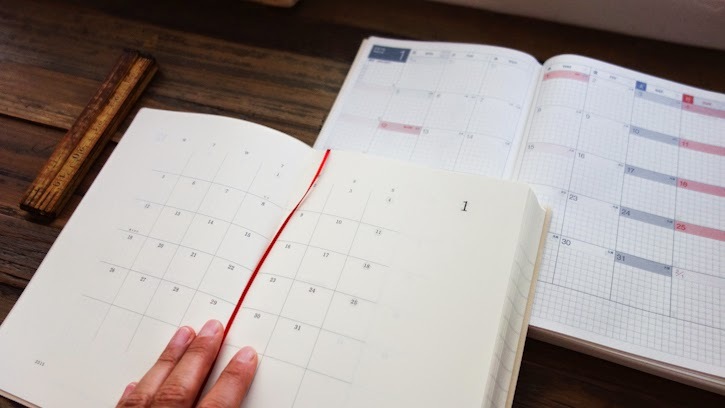 So if you miss a day of journaling, documenting, bullet journaling, you can simply skip the day and write next day on the following new page. You might feel less guilty about skipping a day here and there and use extra pages for days that have more to say! 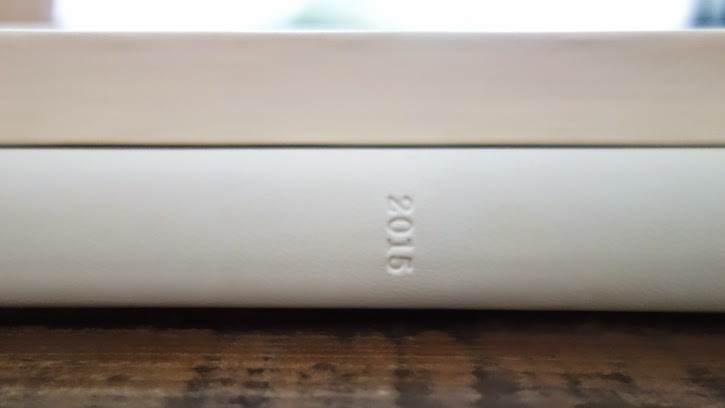 It is bit thicker than Hobonichi Cousin. 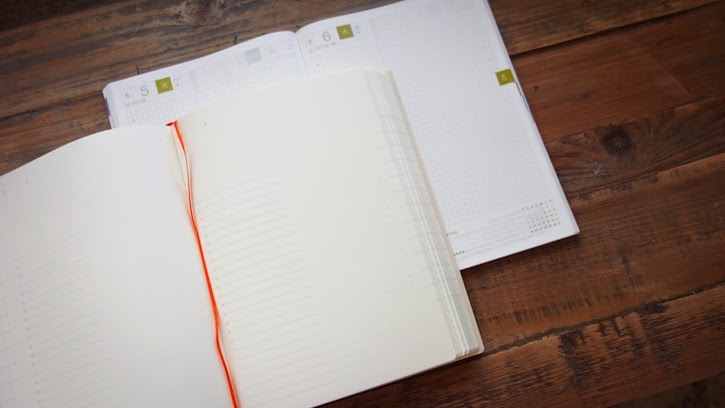 There are some blank pages towards the end that can be used for flex purpose. Their Hobonichi community is pretty inspiring! You can see how other people use their Hobonichi for different usage here on their website. They have an amazing collection of cover line up to help you customize and organize your life! (here is a line up of covers for "Cousin" / A5 size). I am actually thinking of incorporating the Hobonichi Cousin in my Roterfaden leather cover. They actually make a great fit! 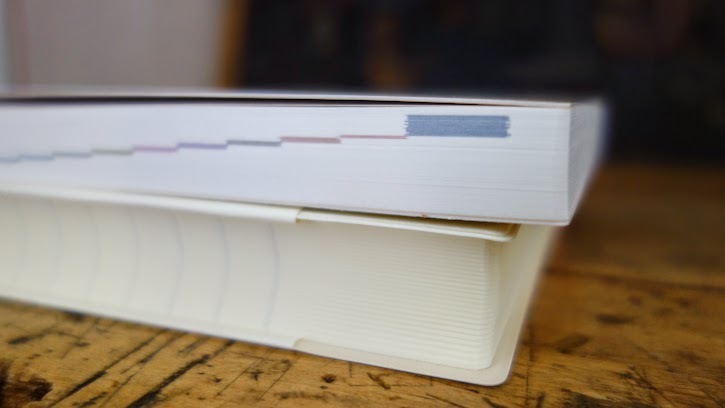 Hobonichi uses Japanese Tomoe River Paper which is known for a very very thin quality paper that is compatible with many of the fountain pens on the market. 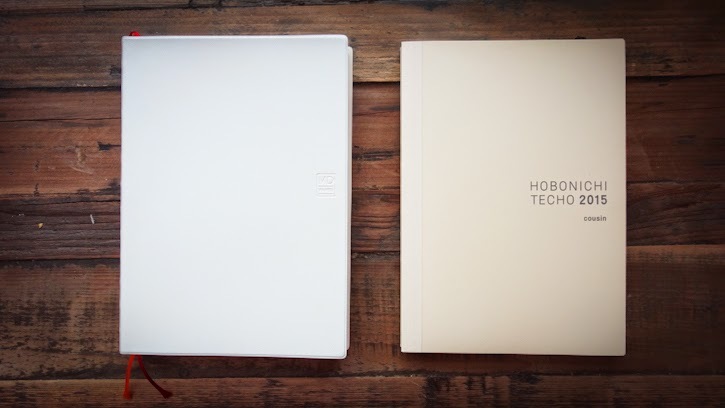 Because paper is so thin, Hobonichi has weekly section along with Monthly and Daily section and still manages to be thinner than MD Daily Diary in an overall dimension. All the written contents inside of the Hobonichi Cousin and Original is in Japanese. If you are interested in getting English version, you can look into Hobonichi Planner (it comes in the same size as "Original" but does not come in A5 size). There are additional information area where you can "log" gifts give/received, important contact info, etc. Okay! So that's as much as I can think of for now. What do you think is going to be for your 2015 analogue system??? I LOVE to know so I can get more inspiration (and obsess about it...). I have a feeling it's something I am going to dream, contemplate and lose sleep for until December 31st. Excited to see their beauty in person at Remodelista Market! Thanks for the comparison, Wakako! 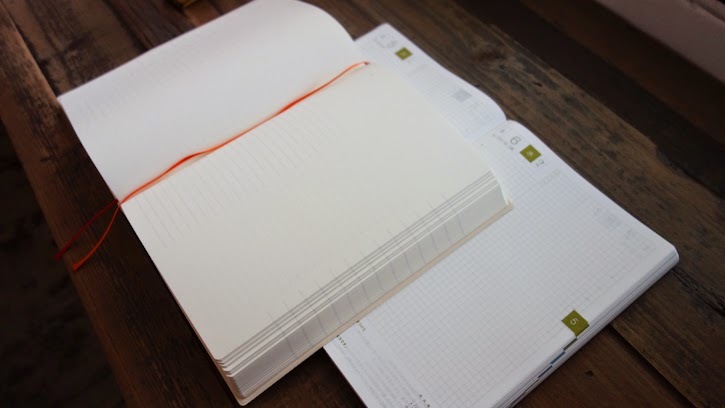 I’ve been wondering about the Hobonichi and Midori Daily, since I love the A5 size for Journaling. 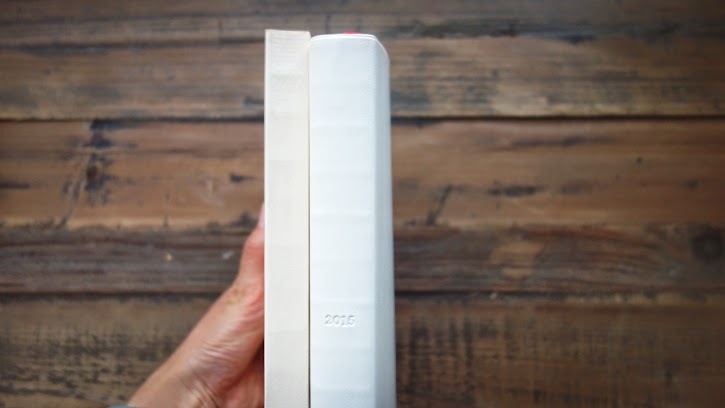 Plus, I keep on hearing about the super thin Tomoe River paper. But for planning/scheduling I am LOVING the Midori TN size! Thanks again!! Love your blog posts!